An event this week for Thomasin Sleigh and another review. First up, on Wednesday the 9th of July, Thomasin will be speaking at the Nethui meetup 'Generation Open' about licensing her book through Creative Commons. At L&G we've long favoured a trade off where our authors keep the rights to their work in exchange for helping out in the production and marketing (and sometimes even distro and retail) side of things. Thomasin has bought a whole new side to our notion of collectivity by formalising the publishing of her book under Creative Commons. 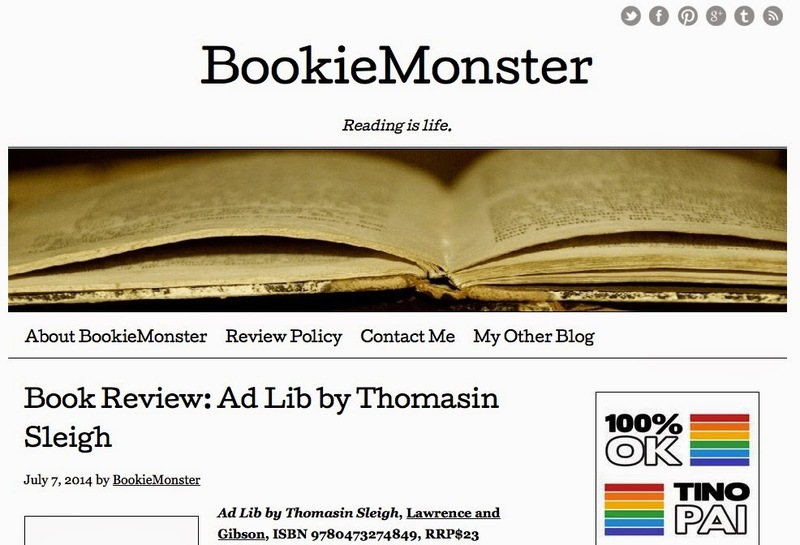 Second up, one of our favourite reviewers Ngaire at Bookiemonster, has reviewed 'Ad Lib'. Read it here. Some nice quotes for future reprints such as "a surreal read, intriguing and beautiful, leaving more questions behind than answers."